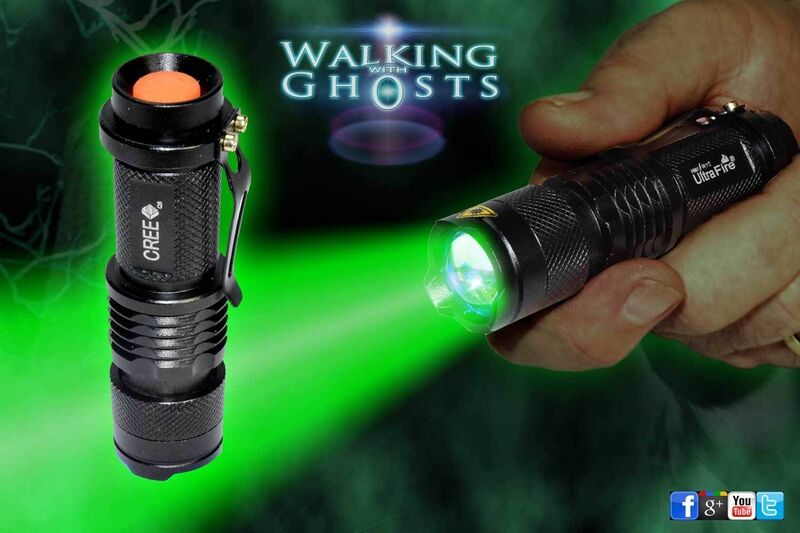 The Green LED emitter sits at a about 517-525nm on the Wave Length light spectrum and is a deep visible green light. 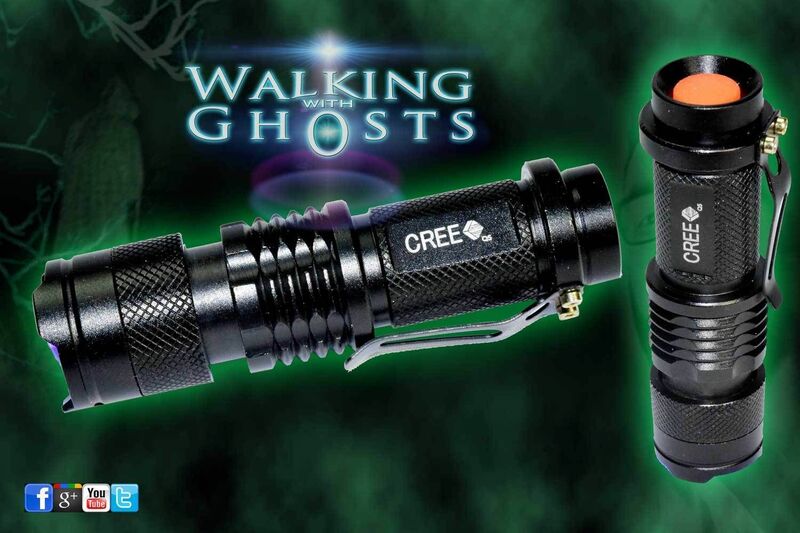 It is ideal for experimental narrow wavelength investigation techniques and also very useful for general purpose use as it illuminates vividly without over lighting the area and maintains the illusion of a dark moody environment. 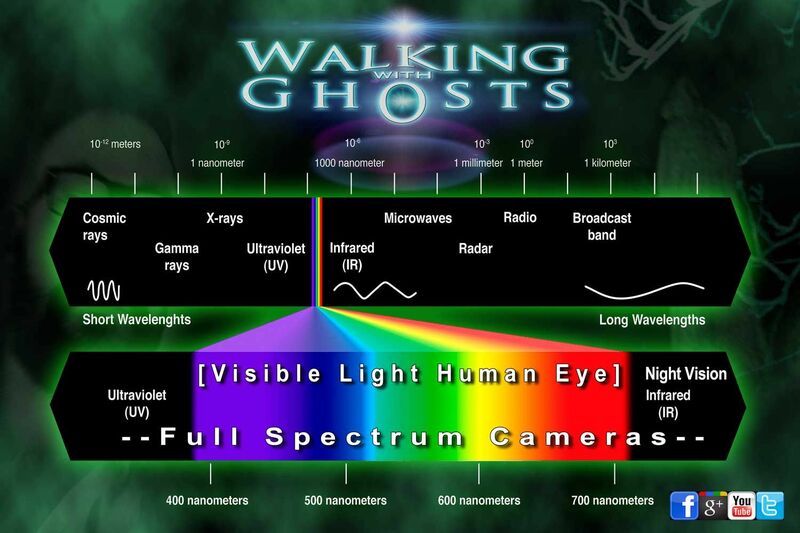 A fascinating research tool that is also used in forensics and is well within the spectrum of light visible to full spectrum cameras. These models also feature a three function switch, the first setting is full brightness, the second half brightness (doubling battery life) and the third is rapid flash or strobe. 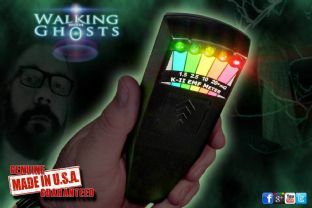 This feature can be used for trying to freeze rapid movement of apparitions as well as warning and emergency applications. 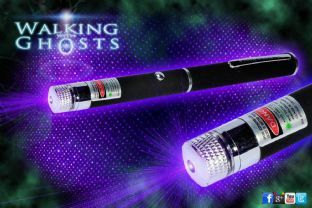 Please be aware that strobe lighting can affect people with light sensitive epilepsy, so always give a warning before using this effect in groups. 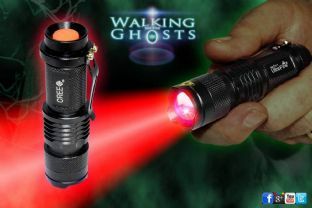 We have selected these particular flashlights as they require only one (easy to find) AA battery, unlike many others on the market that use hard to find expensive Ultra-fire style batteries.